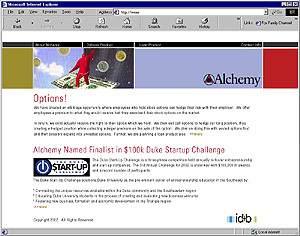 4/20/02 - Congratulations to the 2002 Duke Start-Up Challenge First Place winner SunDance Genetics! 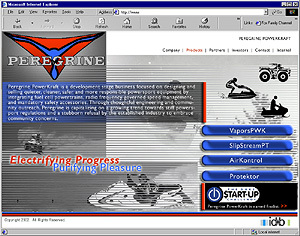 Runners-Up included TheraNova and Visual Data Systems; Alchemy and Peregrine PowerKraft were finalists. 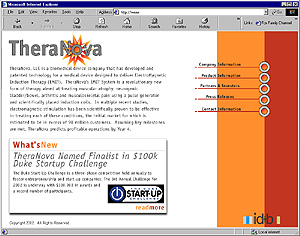 TheraNova, as presented by Dan Burnett, was recipient of the People's Choice. Look for photos of the Awards and a webcast to be online in the coming week. The Duke Start-Up Challenge is a three-phase competition held annually to foster entrepreneurship and start-up companies. The 3rd Annual Challenge for 2002 concluded April 20th with $100,000 in awards and a record number of participants. 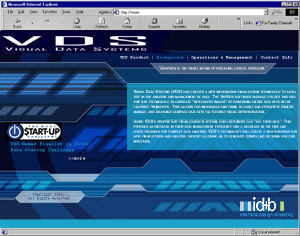 Special thanks to ID&B for their design of the 2002 Start-Up Challenge finalist webpages. Fostering new business formation and economic development in the Triangle region. 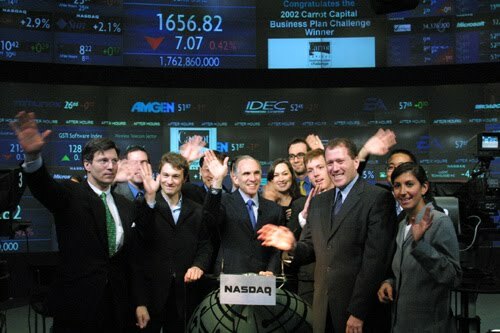 Congratulations to 2002 Runner-Up Novoculi, which closed NASDAQ April 29, 2002.